We have GIA graduate gemologists available to assist you with how to buy a diamond. 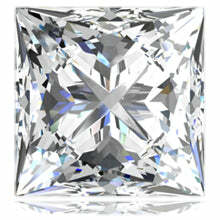 You can also browse our loose diamond search at your convenience. If you are interested in purchasing an engagement ring for your love, you may first be completely overwhelmed and not even know where to begin. Take a deep breath and relax. You are not the first to ever become stumped as to what steps should be taken in order to purchase the perfect engagement ring that will make your beloved’s heart skip a beat when she tries to find to the words to express her excitement and to accept your marriage proposal. We want to assist you with how to by a diamond that you will be able to afford and be proud of. If you found an engagement ring setting that you like, it is important to find out whether or not the center stone is included in the ring purchase. If the center stone is not included, you will need to find out if the company offers customizations on their settings. Some companies only offer settings that are specific to one diamond shape. 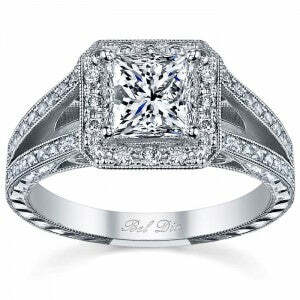 A halo engagement ring from deBebians is manufactured specifically for the shape and size of your diamond. We can customize everything and anything to your heart’s desire. center stone’s dimensions. Our loose diamond search consists of over 80,000 diamonds for you to browse yourself or one of our GIA graduate gemologists can assist you with how to buy a diamond. Our GIA graduate gemologists inspect every diamond to ensure that it surpasses the industry standards. If the diamond does not meet our high standards, our GIA graduate gemologists will assist the customer in finding a better quality stone that not only looks good on paper, but is also pleasing in person. Please do not hesitate to contact us at your convenience if you have any further questions or concerns. Our GIA graduate gemologists and jewelry design team would love to assist you in finding the perfect engagement ring, whether it is a solitaire engagement ring, or one of our halo engagement rings from our signature Bel Dia collection.